Our wonderfully rich golden liquid honey is the miraculous product of honey bees and a naturally delicious alternative to white sugar. Our Vermont state flower is red clover and it grows abundantly in the fields where our bee colonies are located and the bees gather nectar. The result is light colored, full flavored honey that is superior to the mass produced blended honey which is found in the super market today. Try a taste in tea on toast or anywhere you would like to add the sweet and natural flavor of Vermont clover honey. 8 oz. 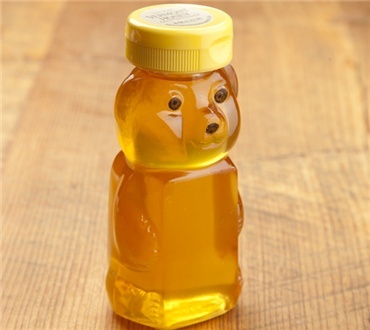 squeezable honey bear. This is great as a snack on flat bread or used in cooking. I love the depth of flaver in this honey! It satisfys my sweet tooth and I would rather have it than candy.